When the going gets tough, the tough get rockin’. 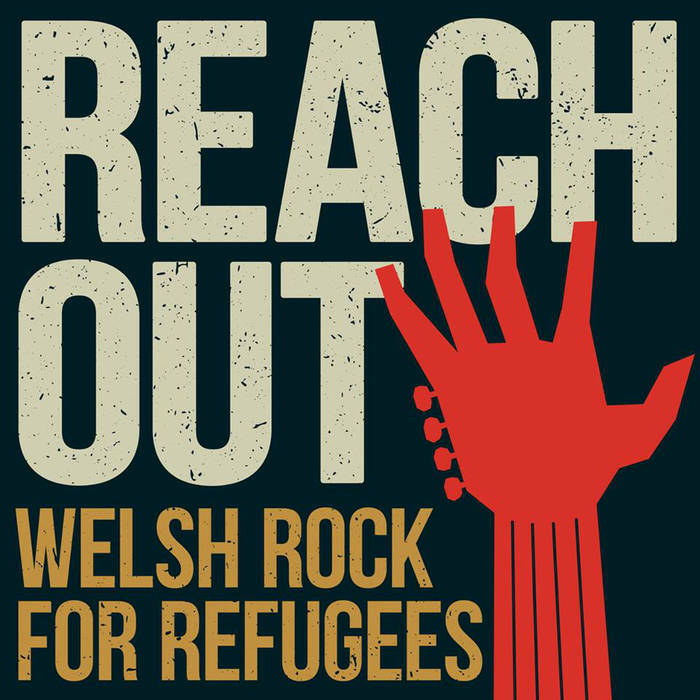 In response to the refugee crisis that is being played out daily on our TV screens and in the media, this thirty track download only compilation has been put together to raise money for Refugee Action. Compiled in just seven days, by music journalist David Owens, this mixes the cream of the current crop of Wales’ mainstream rock bands, some of the best of the upcoming bands and a sprinkling of previously unreleased and live tracks that have not seen the light of day until now. Not only is the album worthy in terms of its cause, but as a snapshot of Welsh music it demonstrates that Wales is as worthy of a place in rock history as London, Manchester or Liverpool. OK, many of Peppermint Iguana’s favourite welsh bands are missing, but this is not a time to be petty and the fact that we know so many good bands are missing just goes to demonstrate the depth and breadth of music in Wales today. Kicking off with the legends that are Cardiff’s Super Fury Animals and Newport’s kings of 90s cool Cymru, The 60 Foot Dolls, we progress through the future sound of Cardiff in the shape of Houdini Dax, the psychedelia of Climbing Trees and the Welsh language folk of Georgia Ruth. Another welsh language artist, Gewnno gets a makeover from minimalist techno outfit R.Seliog, the Stereophonics throw in a live track and ex-pat indie-punks Trampoline sing of an Alcoholic Kiss. The compilation winds up with a previously unreleased Underworld mix of Williams Last Words by the Manic Street Preachers. So not only do we have an album raising funds for a worthy cause, we have an artefact with genuine musical credibility and a snapshot of the scene west of the River Severn. Download it, spread the word, help make the world a better place and dance.